Fermented foods are important for everyone to eat, so how do we make kid-friendly fermented foods that your kids will truly learn to love? Can Sour Fermented Foods be Kid-Friendly? Our palates are designed to taste an array of flavors including salty, sweet, sour, bitter and umami. The issue here for most of us is that we grew up eating overwhelmingly salty and sweet processed foods. This is the flavor profile we now expect from our food. It can be tough to learn to love a new flavor profile. How many of you liked beer the first time you tasted it? It is a very bitter drink when you think about it. But you probably did acquire a taste for beer at some point in your life. If someone were to ask you which food you think of when you hear the word ‘sour’ you would likely answer: lemons and sour gummy snacks. Even sour gummy snacks aren’t truly sour…they are usually a sweet, salty and sour mix! However, fermented foods are ‘sour.’ That is their flavor profile. The fermented sour flavor can be amazingly complex and delicious but, as with any new food introduced to kids, some fermented foods will require repeated tastings to acquire the taste for them. This would be the case with many adults, not just kids! 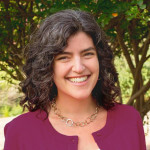 Why are fermented foods so important for our kids to eat at every meal? The list of fermented foods benefits just keeps growing. The fact of the matter is, we all can benefit from eating more fermented foods (what are fermented foods?). We should be teaching our kids to enjoy them early just like we all work to teach them to eat and enjoy vegetables! But can’t I just give my kid a probiotic pill instead of feeding them fermented foods? What amazes me is how easily we go to a pill to fix what ails us. While some kids need to do some serious gut healing and might require a special probiotic supplement, most probiotic supplements on the market are not effective. In fact, each bite of fermented sauerkraut can offer billions of beneficial bacteria – far more than any pill. Plus, you will be teaching your kids to eat their so-called ‘medicine’ vs. taking it in a pill. You will also be expanding their palate to taste more than just salty or sweet flavors. It is important to introduce children to a broad range of flavors. So then how do you get a kid to eat and love fermented foods? There are some really tasty fermented foods that are kid-friendly from the get-go. Here are some of my daughter’s (she is almost 5 and has been eating fermented foods for 2+ years now) favorite fermented foods. Some might even surprise you! Kids emulate what their parents do, so if you are not eating fermented foods at every meal then you should start by eating the foods on this list as well. I have ordered the list from easiest to more challenging so you can work your way down the list. 1 . Kombucha. Kombucha is full of health benefits and it tastes delicious! Your kids will love kombucha. I frankly see no reason to give kids regular old plain fruit juice after trying kombucha. It is the perfect marriage of soda pop and juice and it has beneficial probiotics. Winner! Here are top 17 flavored kombucha recipes plus some tips to get you started making it. If you are ready to dive right in here are some kombucha making tools to help you make your own. 2. Water Kefir Soda Pop. Kefir is also an amazing probiotic fermented beverage and homemade soda pop with natural bubbles made via the fermentation process is not that hard to make! 3. Milk Kefir Smoothies. In my house we love milk kefir made from raw cow’s milk. If you are dairy free then you can also enjoy milk kefir by making coconut milk kefir. You can add either to smoothies which I make every morning for myself and my daughter. I pour any leftovers into popsicle molds to make smoothie pops which my daughter eats as a snack at school. We also drink the milk kefir straight up. It tastes like a milk soda! 4. Fermented Juice. If you are a bit squeamish about working with Kombucha or Kefir grain ‘SCOBYs’ (they can be gross to the uninitiated! ), then why not try making a fermented juice for your kids? Here are how-tos for making fermented apple juice and fermented orange juice using a powdered starter culture. 5. Fermented Ketchup. What kid doesn’t like ketchup (actually I do not like ketchup and never did growing up so I guess I am the anomaly, but you get my general point!)? My fermented ketchup recipe takes less than 7 minutes to make (yes–I timed myself) and is a great way to get your kids eating a fermented food with every meal. 6. Fermented Ranch Dressing. 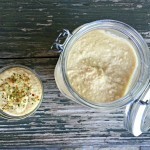 This is a great veggie dip and again, there is no reason it can’t be fermented! Store bought Ranch dressings are full of soybean and other rancid vegetable oils. 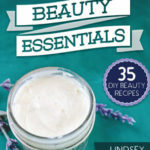 My REAL Ranch dressing recipe contains none of those but does contain awesome probiotics from kefir, creme fraiche, and fermented homemade mayo. It is even better than what you grew up on – I guarantee it! 7. Fermented Black Bean Dip. My daughter loves black beans and I do as well. This is a great fermented play on black bean dip. I add a bit more spice because my daughter likes it but you don’t have to! Fermenting doesn’t just have to mean tangy and sour vegetables like sauerkraut. 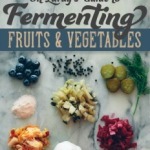 Here are some amazing fermented fruits and veggies you probably never thought of that kids absolutely love! 8. Fermented Applesauce. Yes–you can ferment applesauce and it is amazing. This fermented applesauce recipe paired with homemade yogurt is an amazing probiotic packed breakfast! 9. Fermented Berries. Amazing but true, you can ferment berries too! I love the tangy sour yet unmistakably fruity flavor and your kids will too. This fermented berries recipe will show you exactly how to make them. 10. Fermented Fruit Leather. Also possible! 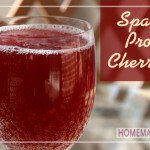 You just need a dehydrator to make this recipe so that you do not heat the fruit to the point of killing the healthy probiotics created during the fermentation process. Check out this recipe for fermented fruit leathers. 11. Fermented Raw Tomato Sauce. Imagine serving this amazing fermented tomato sauce as a dip for fried cheese or fried zucchini chips? You could even spread on toast and sprinkle with raw cheese for a delicious raw pizza! You wouldn’t want to heat this up past room temperature or you would kill the probiotic benefit. 12. Fermented Pickles. I add a little bit of vinegar to my fermented pickles (and no, it doesn’t kill the probiotics because they are beautifully fermented!) and they are a big hit with my daughter. You might need to keep trying pickle recipes until you find one your kids love as they do vary in flavor. I also like this quick pickle recipe and these ridiculously easy pickles. 13. ‘Dilly’ Carrots. Many kids love the crunch of raw carrots. Why not ferment them? These dilly carrots get their name from their dill pickle flavor but they are carrots! I have yet to find a kid who doesn’t like this recipe and they are a perfect fermented addition to any lunchbox. If your kids like shredded carrots, here is an additional fermented carrot recipe they might enjoy. 14. Purple Kraut. We have progressed all the way to kraut with my daughter. She saw me eating it with every meal enough times and finally asked to try some (I did not push it on her). She liked it well enough and now I include a touch of sauerkraut in all of her lunches and with every dinner. She simply needs to take one bite and I am happy. One bit is really all you need to get billions of probiotics. This simple purple kraut is her favorite variety. Don’t Forget About Kid-Friendly Sweet Treats! 15. Kombucha Fruit Snacks. These kombucha fruit snacks are super kid-friendly and can be made with any fruit or even a fruit and veggie combo. They are fun to put into your kid’s lunchbox. 16. Kombucha Jello. These kombucha jello bites are jiggly and delicious. I also love these kombucha jello fruit snack cups. 17. Probiotic Ice Cream. 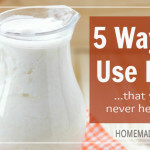 I often replace some of the milk in my ice cream recipes with kefir to make them probiotic! This chocolate probiotic ice cream is a big hit in my house! 18. Probiotic Cheesecake! Is this even possible? Yes it is! Here is an option for a raw kefir cheesecake and here is a dairy free probiotic cheesecake made with fermented cashew cheese. 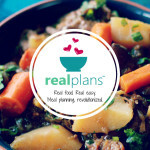 Lastly – Kid-Friendly Fermented Foods You Didn’t Even Know Were Fermented! 19. Sourdough Bread. Yes folks, sourdough bread is, in fact, fermented! If you can tolerate grains (and sometimes even when you can’t) it is best to eat them soured or fermented. I love this no-knead sourdough recipe that is quite easy to make at home. 20. Raw Cheeses / Fermented Dairy. Yes, raw cheese is also a fermented food. 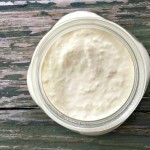 Homemade sour cream, creme fraiche, cream cheese, yogurt cheese, and cottage cheese are foods your kid is probably already eating but the ones you buy from the grocery store are not as beneficial in terms of probiotic content as the ones you can make from home. Don’t these all look completely do-able and delicious? Let’s all get fermenting shall we?! What a great list – you’ve inspired me to finally try making kimbucha and kefir…thanks! This is a FANTASTIC post. My family and I are basically progressing down this list, so it will be a great guide for what more we can do. Right now we are making and loving Kombucha, and I’m getting kefir grains this week from a friend to save some money from all the Kefir we buy at Whole Foods! I have a goal to “clean up” all our condiments in the fridge in January, and this ketch-up recipe looks like a great place to start. MANY THANKS!! I like you so much haha! Thank you for all your wonderful information!Such wonderful ideas! I tried to make fermented pickles as my first experiment (not off of your recipe)& it seemed to go terribly wrong. How do you know the line between fermented and botulism? I’m afraid to try again. Any suggestions for courses in fermentation? TIA! What happened to the pickles? I highly doubt you could get botulism…only avoid black mold or bright red mold. The white stuff is normal! I haven’t ever tried homemade kombucha, but every single store bought one has been like drinking glorified vinegar-just awful. No way would my kids ever go for that. Is there a way to make it more palatable? If you are making your own kombucha at home you can let it ferment as long as you want. The longer it ferments the more vinegary it will taste. So just ferment it until the sweetness is gone. It also depends on what tea you use when fermenting. When it is done fermenting and you have transferred it to your jars you can add fruit, ferment for a couple more days on the counter, and then you have a nice fruity kombucha. You can experiment with different fruit flavors. WARNING – Do NOT overferment kombucha or water kefir drinks that are meant for kids. The alcohol content will keep increasing the more you ferment it. Hi there! THanks for this great list! My kids love our fermented foods and have been asking to try my kombucha. Since it is made with caffienated tea, i figured it was caffienated and therefore not good for the kids. But then again I see everyone giving their kids these kombucha gummies. I just wander where the caffiene goes! thanks! I don’t think there is much caffeine. I am super sensitive to caffeine and I have never felt it after drinking kombucha. I only give my daughter about 2-4 ounces at a time. Never a whole bottle. She is almost 5. Try also probiotic fermented smal (6 -8 cm long) gherkins, or 5 cm onions for planting or grated pumpkin, on the same way produced as red sauercraut. by fermentation of pickles there are not problems with botulism when there are not problems with temperature, the fermentation should be made at cold.There are also not enough of proteins for botulism I think. And there are salt and quickly also acid. The only problem is with the butteracid when not clean processing. The largest online selection of probiotic fermented food cultures. One stop shopping for all your culturing needs. Sourdough, kefir, water kefir, kombucha, and yogurt starters. Save up to 50% on most items. Also in stock: Excalibur dehydrators and lots of tools and gadgets. Click here to shop online.” This paragraph is a link that takes me to another site, culturesforhealth.com which is just their main page. What on earth am I doing wrong? Why cant I see the items for making Kombucha? Any help is appreciated! Love this! My two year old twins LOVE Kombucha and I have some brewing right now, but I love the idea of adding more fermented foods to all of our diets! Thanks! How young can you start fermented foods? My daughter will be 1 next month, too soon? Not too soon at all! Get her going! I opened the Village Green website to shop for culture starters & do not see any specific for fruits or fruit juices…which do I purchase for these? Thank you! The Body Ecology one is great! I use the contents of a high quality probiotic capsule (I like Megaflora by Mega Foods) as a substitute for powdered veggie starters like Caldwell’s or Body Ecology as well as for whey-boosted ferments – I eat plenty of dairy as it is, I don’t need it in EVERYTHING! LOL It works extremely well, I love the fermented orange juice – I use OhLardy’s recipe too. Which, by the way, works beautifully with both Uncle Matt’s and Natalie’s bottled orange juices (neither of which put any kind of additives or flavorings in their juices) – a LOT more economical since where I live juice oranges, even not organic, are very pricey even in season, due to the distance they must be transported! By the way, for those who can’t afford retail prices for kombucha SCOBYs, kefir grains, and the like, I invite y’all to this Facebook group: https://www.facebook.com/groups/181445115312844/ where we share our cultures only for the cost of mailing. Kombucha SCOBYs generally cost the most at about $6 (since most of us use USPS Flat Rate Priority Mail small boxes), while water and milk kefir grains are usually about a dollar postage. (You can also grow your own SCOBY from a bottle of plain bottled kombucha like GT’s as long as it has the snotty-looking little blob in the bottle – we call them “bucha-loogies” – but it can take several weeks to get a SCOBY big enough to be viable for brewing, and it doesn’t save you much money unless you scored a cheap or free bottle of kombucha. Expensive crocks are lovely for brewing kombucha but NOT necessary – the reused gallon pickle jars I pick up for free from a local cafe are more in line with my budget and very effective. I soak the pickle jars overnight in a solution of 1/4C baking soda and a few drops of dish soap in enough hot water to fill the jar to get the pickle smell out. Thank you so much for your fermented foods recipes! I already experiment with making my own yoghurt (which my kids eat as sour cream) and saur kraut. I’m wanting to make whey and have watched your video. Would using my own home made yoghurt work? Or what yoghurt would you suggest?